Meet Bombshell Betty – she’s a Buick that was built for speed. Created by sculptor and photographer Jeff Brock, he took an old, worn-out Super Reviera and turned it into a Bonneville legend in less than two months. Now it’s for sale on eBay with a current bid of just $5,000. The exterior is unique, to say the least. An inverted truck front bumper is used as Betty’s prow, while the rockers and fender skirts were hand built by Brock for improved aerodynamics. The roof has been chopped eight inches and raised slightly to meet the rear deck. The headlight assemblies, meanwhile, were ripped off a 1930s Chevy, and a 1968 front axle assembly off a Chevy van was squeezed between the fender skirts. Underneath all that extravagant aluminum bodywork lies a straight eight-cylinder engine off a 1950 Buick Roadmaster. It’s good for 340 horsepower (253 kilowatts) and comes with upgrades like a custom intake manifold from Hart’s Collision-Racing Shop with a Jegs-Quick-Fuel 750 centimeter racing carburetor, and a nine-inch Ford rear end lifted off a 1973 Thunderbird. It call comes paired to a Borg-Warner T-10 four-speed manual transmission. 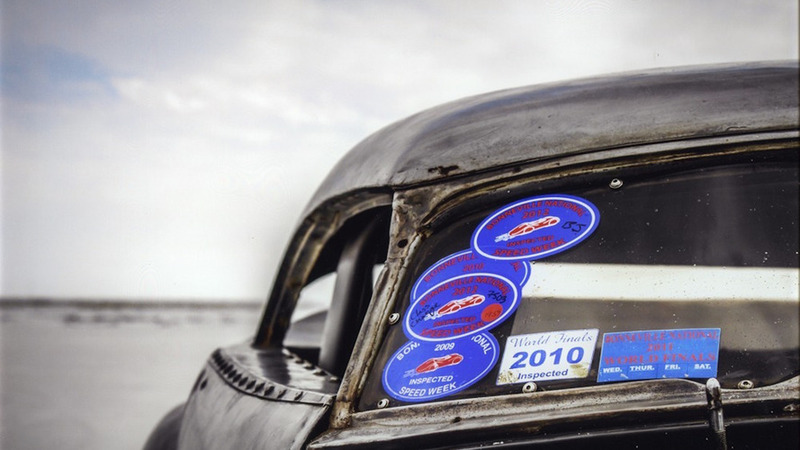 But Betty isn’t all show and no go – the car holds a number of records at Bonneville. In 2013, it took home the land speed record in the XO/GCC class at Bonneville, blasting to 165.735 miles per hour (266.725 kilometers per hour), besting its speed by 3.254 mph (5.237 kmh) over the previous year. In total, Betty has taken home five trophies at Bonneville and holds the title as the fastest 1952 Buick Super Riviera in the world. Just five days are left on the auction, so if you’re in the mood to take home this salt flat legend, get to bidding.